Cooking apps are abundant on the App Store, and apps that cost more than a dollar can have a hard time gaining traction. But if you’re passionate about Middle Eastern cuisine (or just curious about new foods),Manal AlAlem Kitchen is worth checking out. 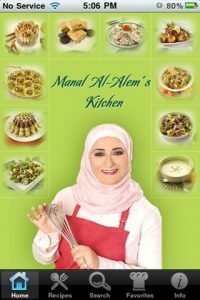 Featuring recipes from famous TV chef Manal Al-Alem in English for the first time ever, it’s pretty coold to have recipes from a best-selling cookbook author in your pocket. There are dozens of recipes for everything from creative desserts (even one with Oreos!) to salads to main courses fit for an enticing family feast. 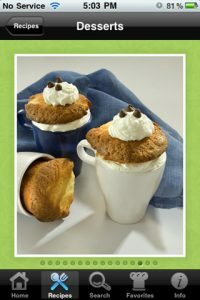 The photography is great, and makes you want to start cooking right away. 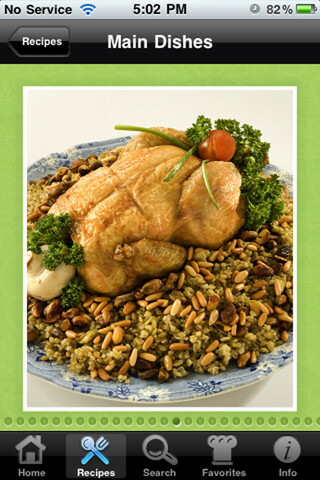 The interface is solid, with one annoying thing being the lack of a written description of the dish on the photo overview of the dish: you have to click though the big image to see what the dish is called and what ingredients you need. The translation isn’t perfect, and some of the wording is a bit clunky. However, those mistakes manage to lend an air of authenticity to each recipe, rather than shake user confidence. There is a good variety of recipes, though we certainly wish there were more. 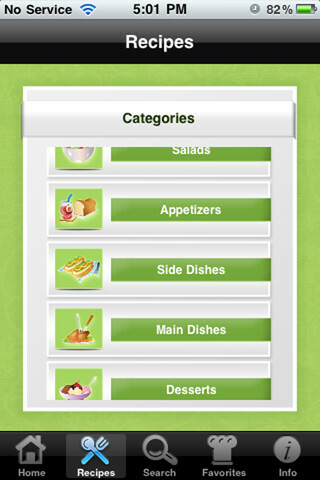 However, we do like the fact that you can star your favorite recipes for easy retrieval later. First released in September of last year, the app is still on Version 1.0, which may mean that no updates should be expected. 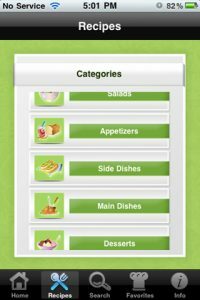 That’s a shame, because many consumers feel like a $3 app should have updates to add new recipes, features, or corrections, particularly when its so easy to find recipes for this dishes online for free. 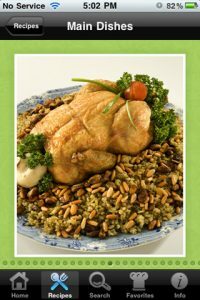 All that being said, these authentic recipes are worth testing, and Manal Al-Alem’s Kitchen makes it relatively easy to find new dishes to try out. 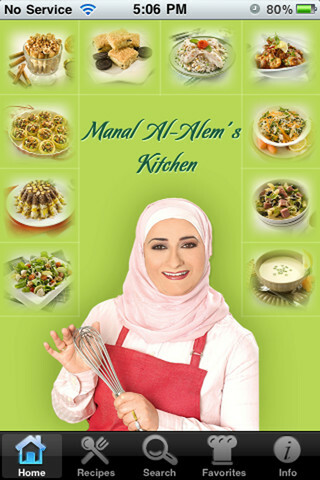 Manal AlAlem Kitchen is compatible with iPhone, iPod touch, and iPad. Requires iOS 3.0 or later. A small expedite fee was paid by the developer to speed up the publication of this iPhone App Review.